This high-quality wooden Key Chain from Julius Meinl is a special eyecatcher for your keys and is perfect to give as a present. You can personalize your key chain by entering your text into the greetings box. Please limit your entry to 40 characters (incl. spaces). You can have your personal message engraved by laser onto the back side of the key chain. 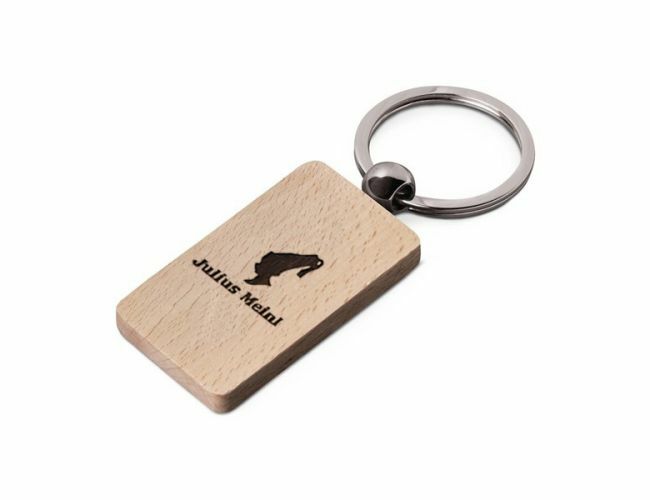 Our Julius Meinl Logo is engraved onto the front side of the key chain.